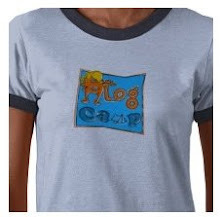 blog campers are really hard to catch on camera because they're always in motion. Have fun, all of you! You look as if you arrived on several glasses of wine each of you! What is with us?Did you see my pic of BAmbi... do we all lose our photo skills when we get to BC or is it really the wine?